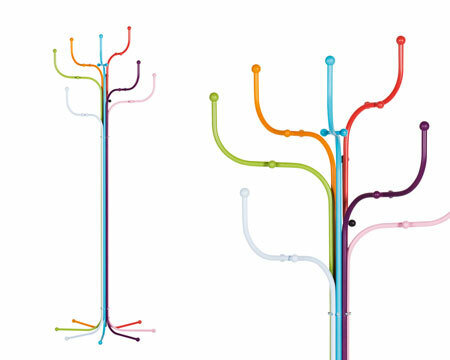 This subway map lines inspired coat rack is a beauty. If the price tag wasn’t as high as it is, I’d get one for our studio. It was designed by Danish furniture company Fritz Hansen in 1971. Love the coat rack design and colors.